“Nostalgia is a seductive liar” George Ball wrote in Newsweek back in 1971. That quote still rings true today as we look at the new Nokia 3310 in an attempt to be transported back to the heyday of the original. I know that memories are often rosy, I know that the memes use hyperbole when talking about the original Nokia 3310. It went down in history as The Indestructible Phone, even though Nokia had an entirely separate line of sporty, rugged phones. I remember a guy in school who used to kick around a Nokia 5210 like a football and then put it together again in full working condition. But the 3310 is the phone that people remember as the embodiment of the Xpress panel changing and boldly-designed Nokias of the past - not the 5210, and not the 5500 Sport, no, it’s the 3310. I think this is similar the retro games that are so popular at the moment. Their pixelated graphics and old-school game mechanics have won over many who wanted to relive the joy and excitement brought by those early digital games of their childhood. But the modern retro games are a white lie - most of them leverage the high resolution screens and powerful GPUs of modern computers to render graphics not how they were, but how we remember seeing them. And I'm fine with that lie, if it brings me the same excitement. The new Nokia 3310, however, fails to deliver on the front. Again, the original wasn’t officially rugged but that’s people’s perception of it, their memory of it - a phone-shaped tank that could take a beating and still carry on doing its cellphone duties without a hitch. Not like today’s smartphones, which have huge fragile screens and need protective cases and fancy front glass panels named after primates. Nokia/HMD could have easily lived up to those memories and made a rugged feature phone (CAT still does it). The Finns could then have made a thousand “will it blend” and hydraulic press videos - it’s a sure-fire marketing campaign that matches old phone with new memes. Hell, the Hydraulic Press Channel is Finnish, just like Nokia and HMD! 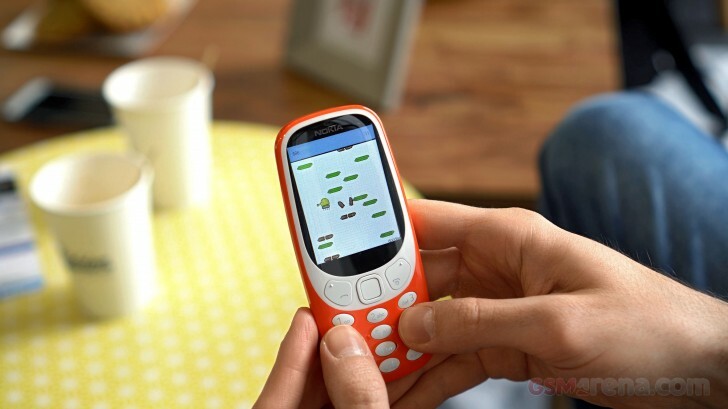 Watch the original 3310 go in the press, a video with over 4 million views. It goes beyond that. 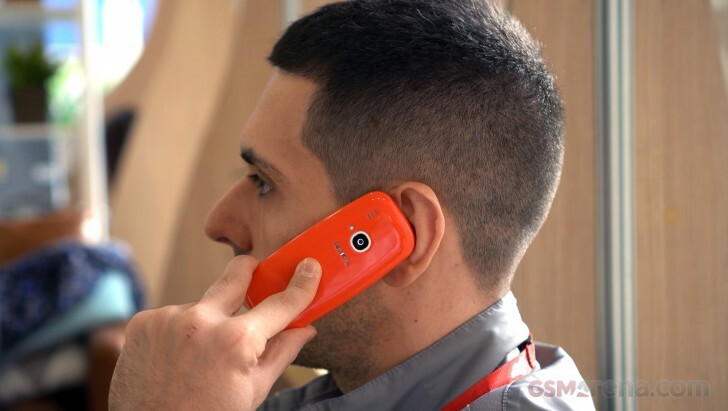 I bet many people would be interested in the simplified experience a feature phone promises. No monthly patches to install, no permission dialogs, none of that. If it has Facebook on it (as some feature phones had in the past), I think many wouldn’t mind that they can’t install more apps. In fact, analysis has shown that the average smartphone users installs 1 app or less a month. A feature phone doesn’t have to be low quality, if anything the original 3310 was expensive and feature-rich for its day. This new model, however, I struggle to see how it is better than, say, the Nokia 222 or other recent Nokia feature phones. If the new Nokia 3310 was an attempt to rekindle the warm memory of the original, I think it missed the mark by a mile. If it was an attempt to cash in on a famous name... well, all the hype seems to make it a success. How many people actually spend money on a piece of poorly-executed nostalgia, however, remains to be seen. Yup It is a good second phone!! !